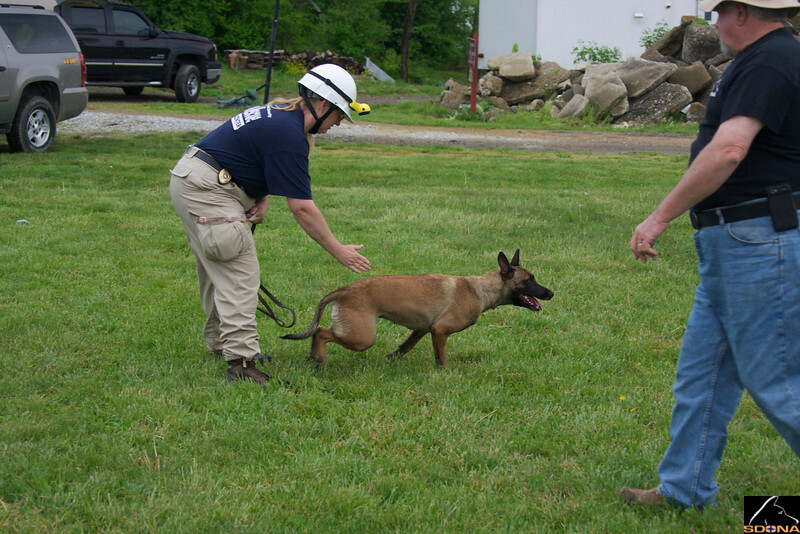 SDONA conducted a Disaster Dog Seminar at Camp Atterbury in Edinburg, Indiana from May 10-12, 2013. Instructors included Bill Dotson (HRD); Jackie McCarty and Lynn Packard (live) and were assisted by Anne Tremblay and Liz LaPointe. SDONA is a non-profit organization dedicated to increasing the level of quality in training and testing of K9 SAR teams. Photos courtesy of Liz LaPointe, Anne Tremblay and Kevin.